About Sakuragi Hanamichi, a freshman of Shohoku High School who joins the basketball team because of the girl he has a crush on, Haruko. Although he is newbie in this sport, he is no ordinary basketball player. The baby hitman Reborn, one of the cursed 'Arcabaleno' arrives to teach Tsunayoshi 'No Good Tsuna' Sawada how to become head of the Vongola, a power crime family. 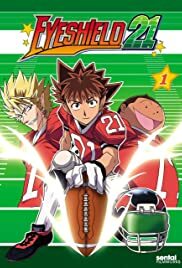 I admit that I had zero knowledge about American football before reading the manga that this series was based on. Yet it intrigued me almost immediately and helped me familiarize myself with the sport. The main factor that allows it to achieve this effect was the likable and hilarious characters. They're all weird, goofy, and funny, yet not annoying like many other manga characters. Seeing them interacting with each other is really cute and heart-warming. I also like how the teams all have fun an distinctive themes that they base their plays around, since it makes every game more memorable. These strong points are mostly retained in the anime, though I feel the Japanese voice-over is too tame for some of the larger-than-life characters (like Hiruma). However, my main complaint is about the art quality. The original manga has its art done by Yusuke Murata (also known for One Punch Man), a manga artist that I personally think is the best currently, yet this series doesn't really show his brilliance. The characters seem much less expressive than they are in the manga and their movements are limited due to the low frame rate and constant animation recycling. 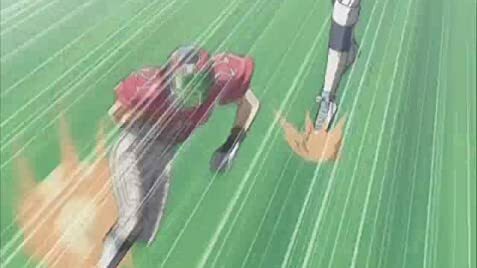 Overall, the art in this anime just feels very lazy, which is especially bad for a series about sports. Also, like its manga, the anime includes a few silly filler episodes that serve no real purpose and I personally think should have been left out.